Just beat bubble bobble with the girlfriend ! I beat it as a kid but using a code. We just went through all 100 levels. We got the bad ending. I Google it but I'm really confused on how to get the good ending? Still an amazing co-op game. It can't be healthy to play this. I've never owned one but I have played on one. I couldn't do so for more than about 15 minutes at a time without a headache starting to kick in. It works, but yeah, let's be charitable and say it's not Nintendo's finest hour. I owned a virtual boy. It actually had a really good controller, one of my favorite Nintendo first party controllers. The only way to play it comfortably was to lie flat on my back and balance it on my face with the stand on my chest. Anything else led to crazy back pain in short order. It was not exactly an ergonomic wonder. Yeah, the controller was genuinely good. Probably the best thing about it, in hindsight. It is funny how it uses so many batteries. It also gave us the first in the long line of pretty good Mario Tennis games. There's like twelve games on the system. This is a broken clock that's right once. 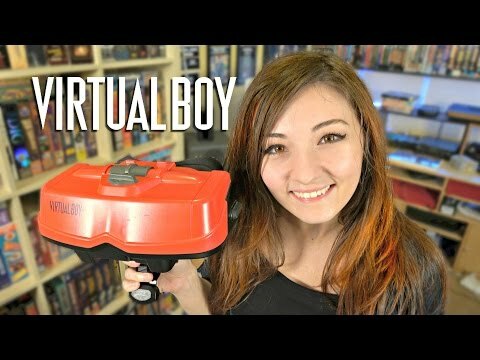 I love Virtual Boy dammit! Tennis, Red Alert, Wario Land, and Dragon Hopper. Enjoyed them all! I did buy it when it was discontinued for $30 at Toys R Us so really no loss there. I thought that game didn't make it out before the VB died and the only known prototype is in the hands of a hoarder. Wait, don't tell me it's you?! I played Virtual Boy at demos at stores only. It was not AT ALL tempting, even to smaller person me who was impressionable to such things. Ugly, painful to look at red graphics, awkward viewing angle, and an unfamiliar, uncomfortable controller that I couldn't even look at to see what I was doing wrong. No thank ya. This is the sort of thing that should be given up on during the prototype stage as a "maybe in 10 years or so" type deal. I remember when they were rereleased (I assume someone found a warehouse full of the things) a few years later and stores were selling them through for $25. I still wasn't tempted even then. The Virtual Boy is a bad system and Nintendo is right to brush it aside. I was living in Los Angeles in the late 90s, and GameStop/EB/software etc. eventually got rid of all of their Virtual Boy/3DO/Jaguar/32x/and so on junk by sending it all to one store in Santa Monica Place where it got sold at 80% off the lowest marked price. My VB was $6 and most of the games were $2. Water world had never been marked down so it cost a kingly $8. Also picked up a Jaguar CD and a few other things. The mid 90s were weird but fun, so many companies competing in the video game space. The Jaguar CD had two good points. 1) it fit really well on to the base unit. Like, docking it just had a great chunky sound and overall a solid feel to it. 2) it came with a copy of the Tempest 2000 soundtrack. I think the only games I had were Dragon’s Lair, Space Ace, and Myst. I wanted the Iron Soldier sequel but never got it before I sold the thing. ...I still have the T2K soundtrack anyway. I used to be interested in a Virtual Boy, and I still might be, under the right conditions. Be a nice display piece, if nothing else. But I'm more disappointed that they never re-released any of their titles for the 3DS as 3D Classics, especially Wario Land. Yeah.  They could have colorized them and released them. Yeah every single retro youtuber just uploaded their SG reviews simultaneously. I have my doubts the sg should be worth that much. The guy that created it got shunned at Nintendo. Since he created the GameBoy, it was a really crappy thing for them to do. Gunpei Yokoi, and he practically MADE Nintendo the toy giant and game&watch monster they were before the Famicon/NES. It's possible to assume that Nintendo would have never joined the videogame arena without him around. Then, after videogames were around, he invented the Gameboy. He did get to make the wonderswan, which was pretty good, but then he died on a traffic accident. Also helped pioneer the cross-shaped d-pad and was the producer on Metroid and Kid Icarus. Really, there are lots of people at Nintendo that actually make things happen. Is it not compatible with the Sega cd and 32x? It is compatible with Sega cd, but not 32x. They may make an adapter for 32x. If only for Kolibri, arguably the finest hummingbird based shooter for the 32X. Was Knuckles' Chaotix good? I was tempted to collect it. 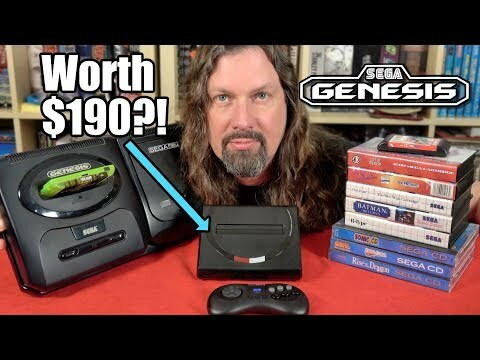 Well if you're collecting for the 32X you should probably have it, but its not particularly great. I heard that Chaotix was the rushed leftovers from a cancelled Saturn Sonic game, and given how empty the levels are I can believe it. Unfortunately, no. It was an interesting attempt to do something different with a 2-D Sonic game, but the actual execution was a faceplant. I read a review saying that with the promised adaptors it would be compatible with all the pre-Dreamcast Sega consoles. It was later edited to say pre-Saturn. No-one loves the Saturn. I find Analogue's PR to over exaggerate a little. I really hope they make an adapter for 32x. Colibri is actually one other name for Humming bird in portuguese.